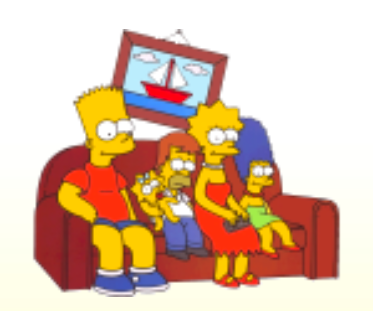 The Simpsons is a popular comic televisions series. A comprehensive overview (in german) is Simpsonspedia . This page shows, how we implement the simpsons ontology in KnowWE. We first define some classes framing the example domain. Some (alternative ways) to express negations. ( si:Human si:Building si:GenderType) . ( si:parent si:parent ) . ( si:parent si:father ) . Bart never wants to be a female. We now insert some characters and things of the Simpsons world. "Mr. Burns' nuclear power plant" . We can also introduce blank nodes to represent the belongings of Mr. Burns. Ok, we can test/query the ontology by inserting some SPARQL statements. Show me all instances of Human and also show their labels. Use property paths in SPARQL. We also can add optional patterns into the query. Show all humans and their (optional) belongings. This wiki article belongs to the simpsons package. We define the ontology using all articles of the simpsons package. Let's use the namespace si for the resources.